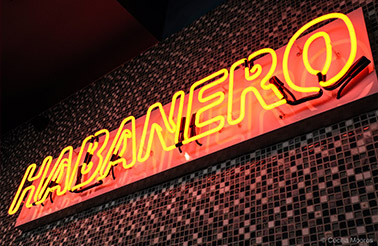 El Habanero is officially the place to be for your most authentic Mexican grill in Montreal. Inspired from traditional iconic mexican recipes, the menu is crafted to be a Montreal street food restaurant. Come grab a bite out of one of our delicious creations served from fresh, simple and tasty ingredients right out of your local neighborhood markets. At El Habanero, our goal is to create an experience that is fun and casual, with great food. 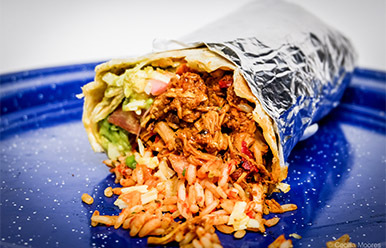 What sets us apart at El Habanero is the quality and creativity of our menu choices, which includes everything from our famous burritos, heavenly tacos, or you can go healthier with a salad. Our lively atmosphere is designed with a warm and modern décor that allow us to offer the best customer experience you’ve ever had. At our restaurant, we work endlessly to defy regular conventions of Mexican cuisine. How? We only use the freshest toppings and we promise you can taste the difference right out of your first bite. As a small Montreal based restaurant, El Habanero is proud to support local businesses as our source for our entire menu. In fact, everyday we try to improve our customer service with unique ingredients that are prepared in our exclusive menu creations. These quality standards guide us to serve you as the best Mexican Grill you can taste in town. We believe that every Montrealer should experience our family recipes. It is our passion to serve you in a friendly, energetic and positive fashion. The experience we provide is something we want to share with our customers through tasty and delicious meals. Come enjoy the pleasure of every bite; a taste of Mexico like no other in Montreal.